Buying a first home is an exciting milestone. You finally have a space to call your own. But if you moved into a new home from a small apartment, you may feel overwhelmed by having to fill all of that space. 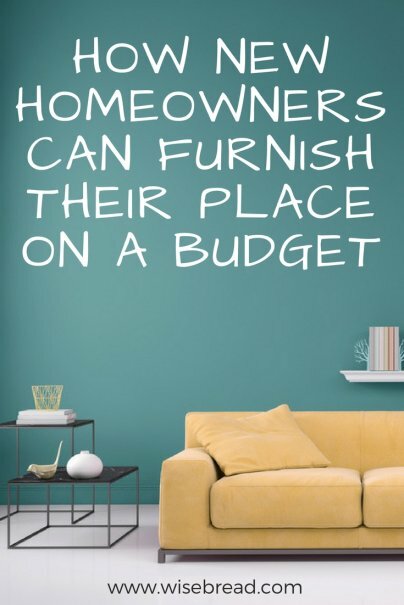 Furnishing a home can be downright expensive. You may need new sofas, extra beds, more art for the walls, or even new appliances. While it can be tempting to swipe your credit card at the local furniture store to get everything you need, you should be cautious to ensure that furnishing a home doesn't leave you flat-out broke. Here's how to fill your new home on a budget. There's no need to furnish your entire home within a few months of moving in. Likely, there will be rooms that are of higher importance to set up. Take time to go through and rank the urgency of everything you think you need. For instance, it might be necessary to purchase a new appliance before you purchase a guest bed. Buying new is nice, but it can get very expensive very quickly. Luckily, there are more resources than ever to help you find gently used or antique furnishings. Chances are, you have family and friends with a lot of extra stuff lying around, and who would love to give it to you. While you may feel obligated to accept their generous gesture and take all that they have available, it's a good idea to proceed carefully. Only say yes to things you actually like. Otherwise, you risk having a mishmash of decor in your home, some of which may not be useful, and it'll be an added source of stress trying to figure out what to do with it. Big ticket items such as couches and mattresses are likely to get more use than anything else in your home. Since you'll spend so much time on them, it makes sense to purchase a high quality, new item that's built to last. The last thing you want to do is to buy a cheap couch that is uncomfortable or will start falling apart after a year or two. If you choose to buy new, keep in mind that most stores will allow a little room for negotiation, especially if you show up with cash in hand. Stores love when you pay in cash, because they don't have to go through the process of financing and they're guaranteed to get their money today. Plus, using cash works for you as the buyer because it prevents overspending when you walk in the store. You can sleep even better knowing that your brand-new mattress is paid in full. Are you a crafty person? If you enjoy making homemade items, then your house is the perfect place to showcase your creative works.